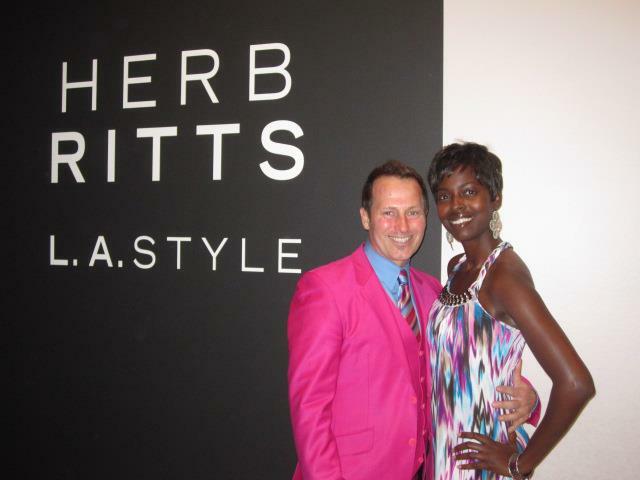 On Monday, April 2nd I had the honor of attending the opening reception for the Herb Ritts L.A. Style Exhibit at the Getty Center. This warm spring evening brought out the artsy crowd to the beautiful grounds of this museum to celebrate a man who has captured pure essence in each of his photos. 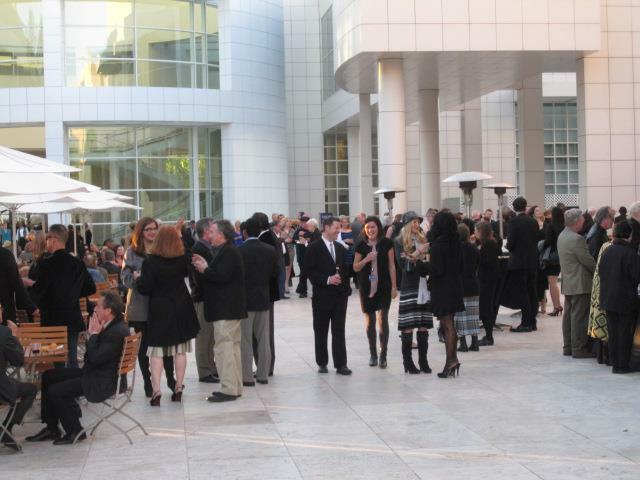 This was my first time to The Getty, so I was super excited to attend! Accompanied by a walking piece of art, The Man in the Hot Pink Suit, we were sure to have a wonderful time! Upon arrival, we took a tram to get to the event location. The view was beautiful along the way, with houses on hills and a breathtaking view of the LA landscape. The reception was held outside, with delicious hors d’oeuvres, drinks and chocolate cupcakes with white frosting and a bow fitted for the theme. We met several different people, including GRAMMY award winner Tracy Chapman, who has been photographed by Herb multiple times. After a bit of mingling, it was time to see the main attraction and enjoy his innovation. 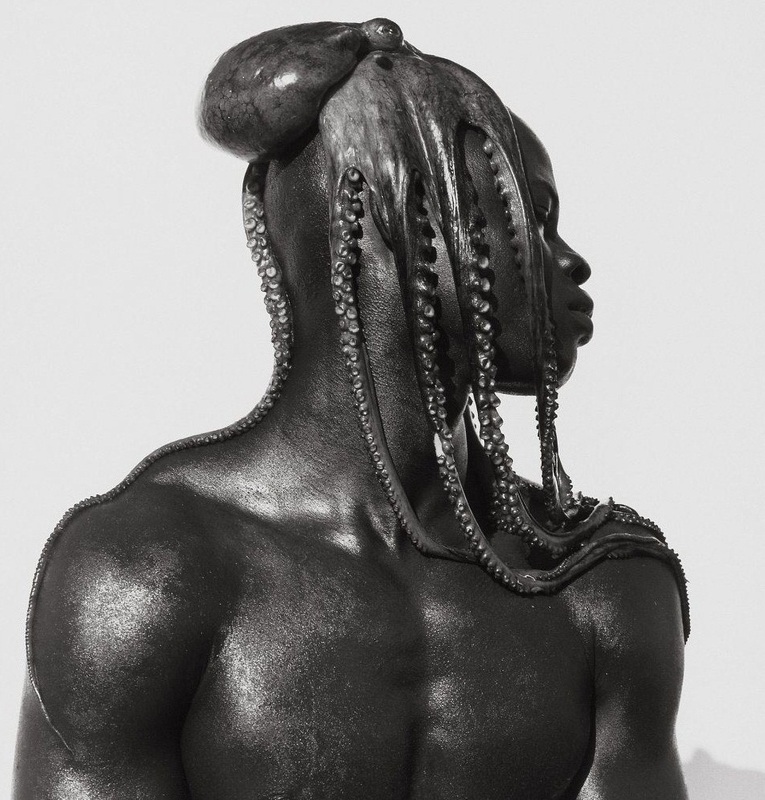 At first glance I thought these were dreads, but up close it’s an octopus. This photo is so cool! 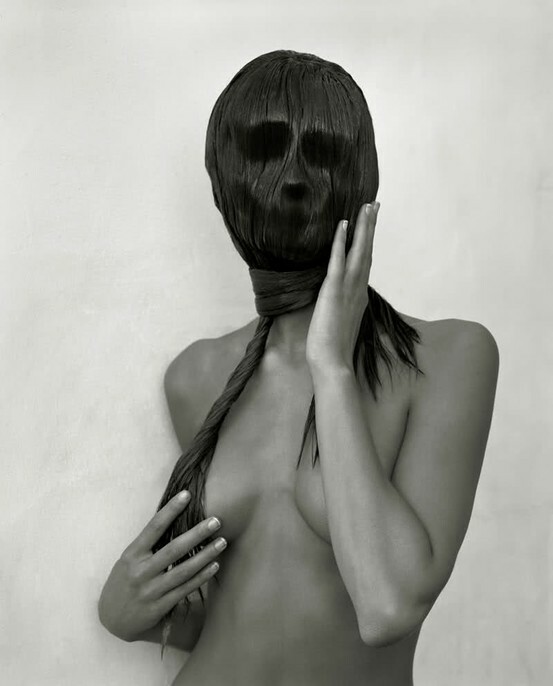 I wish I could do that with my hair, as it would be a true art piece. This photo of him is beautiful and rugged! After we viewed the entire exhibit, we were headed back to the reception when in comes Cindy Crawford! Still showcasing her supermodel style, she still looks amazing and youthful as ever. She was also one of Herb Ritt’s subjects so it was a pleasure to have her at the opening. This was a great way to get me to the Getty and I will definitely be back. The work of Herb Ritts is a must see and will be on display until August 26th. On November 13th, the place to be was the 2011 Hollywood Style Awards. Located at Smashbox Studios, the evening brought together the top creative talent in the industry with the most recognized celebrity leaders of fashion for an exclusive red carpet event to celebrate the essence of Hollywood style. Hosted by style expert George Kotsiopoulos, this event celebrated this year’s trendsetters in fashion, honoring celebrities, influencers and the style elite who have led the way in the world of fashion. Honorees who were recognized at the 2011 Hollywood Style Awards gala included: Elizabeth Stewart for “Stylist of the Year” presented by Kristin Davis; Molly Stern for “Make-Up Artist of the Year” presented by Mandy Moore; Mara Roszak for “Hair Stylist of the Year” presented by Zoe Saldana; Tracey Cunningham for “Colorist of the Year” presented by Rose McGowan; Arianne Phillips for “Costume Designer of the Year” presented by Andrea Riseborough; Kylie & Kendall Jenner for “Stylish Sisters” presented by Khloe Kardashian; DECADES for “Hollywood Boutique of the Year” presented by Selma Blair; Chloe Moretz for “One to Watch” presented by Jaime King; Randall Slavin for “Photographer of the Year” presented by Eva Longoria,and Alice Temperley of Temperley London for “Designer of the Year” presented by Alice Eve. Presented by PMC, this year’s event was sponsored by Smashbox Cosmetics, The Palazzo Las Vegas and Palladium Alliance International. Guests had the opportunity to indulge in a VIP Touch-Up Studio with Smashbox makeup artists. Additionally, guests experienced a taste of the posh side of the Las Vegas Strip as The Palazzo Las Vegas brought luxury travel and sophistication to the heart of Hollywood with its famed Azure Luxury Pool and Lagasse’s Stadium with pool, basketball and ping pong, while Palladium Jewelry gave guests the opportunity to experience and be photographed in their luxury collection on the red carpet and at the event’s after party. This was definitely an event to remember and a great chance to mix and mingle withHollywood’s most hip and stylish! For more photos, go to www.wireimage.com.